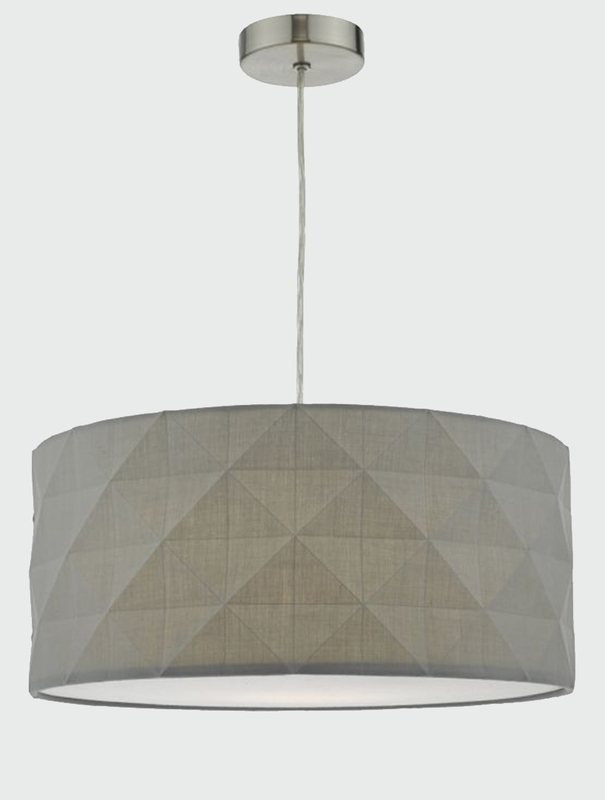 The Aisha hanging shade has a geometric bevelled design in a cotton fabric. The Aisha is perfect for a warm glow within a bedroom or lounge, they comfortably fit into any space. 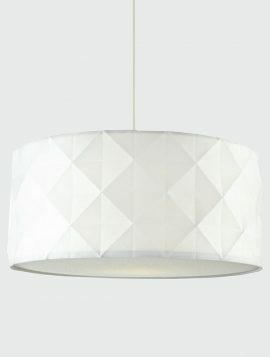 This hanging shade would need to be installed onto a hanging suspension. Also available in: White. 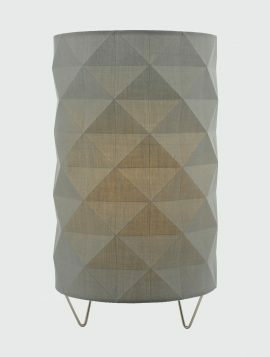 Complete the look with the Aisha Table Lamp. 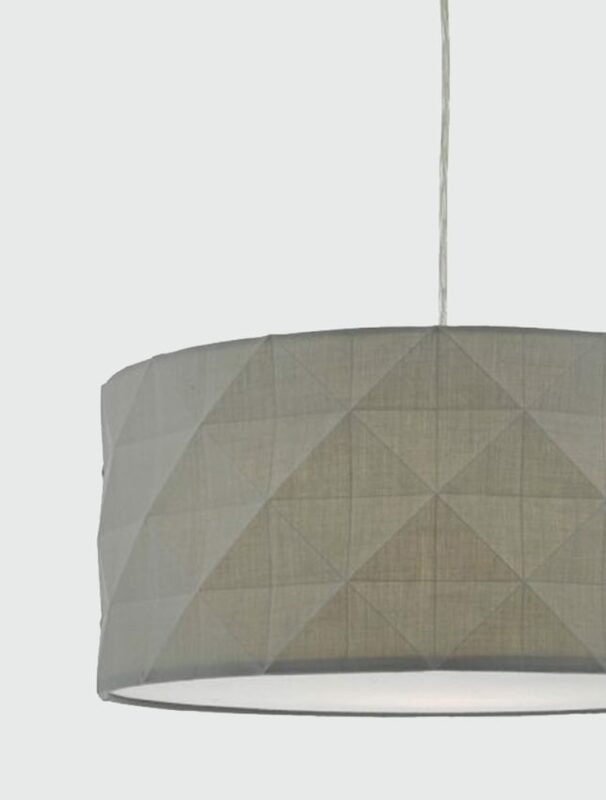 The Aisha hanging shade has a geometric bevelled design in a cotton fabric. 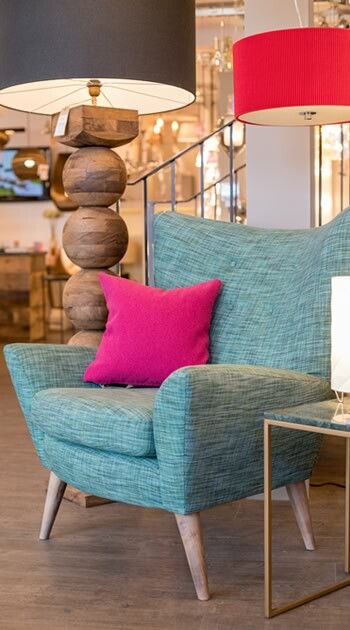 The Aisha is perfect for a warm glow within a bedroom or lounge, they comfortably fit into any space. 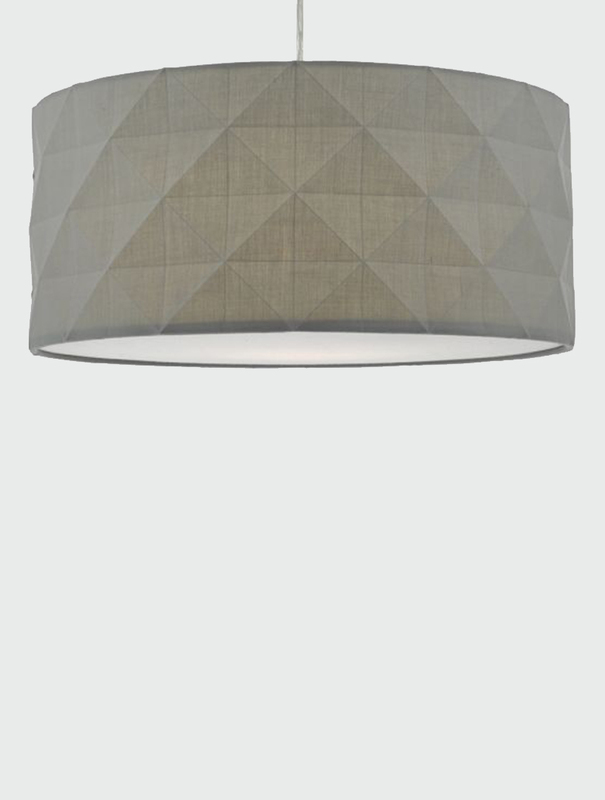 This hanging shade would need to be installed onto a hanging suspension. Also available in: Grey. 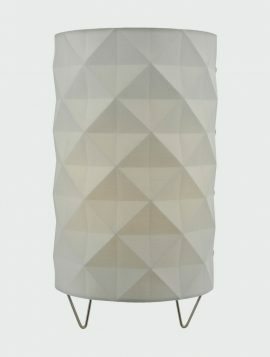 The Aisha table lamp has a geometric bevelled design in a white cotton fabric. This table lamp has a matching white braided cable with an in-line rocker switch. The Aisha is perfect for either side of a bed, or as a warm glow within a lounge, as they are small and compact meaning they fit comfortably into any space. Also available in: Grey.